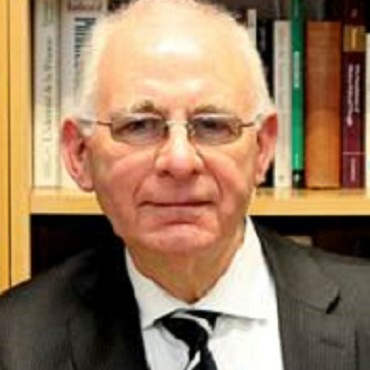 Professor Loughlin is an Emeritus Fellow of St Edmund’s College, Cambridge, where he directed the Von Hügel Institute until his retirement in September 2015. He was also a Senior Fellow and Affiliated Lecturer at the Department of Politics and International Studies of the University of Cambridge. He is Emeritus Professor at Cardiff University, where he held the Chair of European Politics (1994-2010). He is a Fellow of the UK’s Academy of Social Sciences (AcSS), a Fellow of the Royal Historical Society (RHistS), of the Royal Society of Arts (RSA – until 2015) and of the European Academy of Sciences and Arts. In 2014 he was appointed a Fellow of the Learned Society of Wales. He has held the Université Libre de Bruxelles Ganshof van der Meersch Chair (which promotes collaboration between the ULB and the Universities of Oxford and Cambridge) in 2013-14. He has held Visiting Professorships and Fellowships in Oxford, Paris, Florence, Princeton, and other European universities. In 2009, he received an Honorary Doctorate from the University of Umeå, Sweden in recognition of his research on European politics. In 2010, the French Government appointed him Officier des Palmes Académiques (equivalent to the OBE) in recognition of his contributions to French language and culture and research on European politics. Professor Loughlin was appointed a Research Fellow of Blackfriars Hall and member of the Las Casas Institute in October 2015. He is currently working on a project exploring the concept of ‘human dignity’ from different disciplinary perspectives and has organised a series of public seminars and workshops on this theme. (with Mirela Bogdani) Albania and the European Union: The Tumultuous Journey to Integration and Accession, 288 p. (London: I B Tauris, 2007), ISBN: 184511308X. Human Dignity and the History of Western Civilization, London: Bloomsbury Press, (forthcoming 2019). (Guest editor with Sandrina Antunes), “Europeanisation and Territorial Politics in Small European unitary states”, Regional and Federal Studies. Special Issue, (forthcoming 2019). (with John Kincaid and Wilfried Schwenden) The Routledge Handbook of Regionalism and Federalism, 624 p. (Routledge, 2013). (with Frank Hendriks and Anders Lidstrom), The Oxford Handbook of Local and Regional Democracy in Europe. 812 p. (Oxford University Press, 2010). (with David Hanley), Spanish Political Parties, 190 p. (Cardiff: Wales University Press, 2006). ISBN: 0708319319. (Guest editor with David Hanley), “Religion et Politique”, Special Issue of Pôle Sud (Revue de Science Politique de l’Europe Méridionale. No. 17 – Novembre 2002, ISSN 1262-1676. “Human Dignity: the foundation of human rights and religious freedom”, Memoria y Civilización, Vol. 19, 313-343, 2016. ISSN: 1139-0107; ISSN-e: 2254-6367. (with John Ryan), “Historical ‘Monetary Unions’: Lessons for the Eurozone Crisis?”, Studia Diplomatica (The Brussels Journal of International Relations), Vol. XVII, No. 4, pp. 21-38 2014. “Territory and Governance”, in Annsi Passi, John Harrison and Martin Jones (eds. ), Handbook of Regions and Territories, Edward Elgar, pp. 197-207. ISBN-10: 1785365797; ISBN-13: 978-1785365799, 2018. (with John Ryan), “Historical Monetary Unions: Lessons for the current Eurozone Crisis”, in John Ryan (ed. ), Towards a Resilient Eurozone: Economic, Monetary and Fiscal Policies. Bern: Peter Lang, 2015 pp. 5-30. ISBN 978-3-0343-1946-1. “The theological and secular dimensions of the modern state”, in José Magone, The Routledge Handbook of Comparative Politics. London and New York: Routledge, , 2015, pp. 52-74. ISBN: 978-0-415-62675-0 9hbk), isbn978-1-315-75583-0 (ebook). (with F. Hendriks and A. Lidstrom), “Local and Regional Democracy in European Politics”, in José Magone, The Routledge Handbook of Comparative Politics. London and New York: Routledge, , 2015, pp. 398-417. ISBN: 978-0-415-62675-0 9hbk), isbn978-1-315-75583-0 (ebook). “The theological and secular dimensions of the modern state: historical and contemporary perspectives” in Ferran Requejo and Camil Ungureanu (eds), Democracy, Law and Religious Pluralism in Europe: Secularism and Post-Secularism, London: Routledge, 2014 ISBN 978-0-415-82833-8 (hbk); 978-1-315-75880-0 (ebk).